Entries for the 2019 Interschools Championships will open in May 2019. School Coordinators can still access the online entry system to view their school registration. All Participants entering the Interschools Championships need have an active Snowracer SnowID. Participants who have competed before in Interschools in the last few years will already have a SnowID but you need to make sure that you have activated your Snowracer registration for 2019. 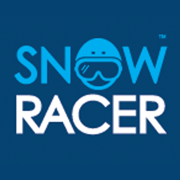 You should receive an email to activate your Snowracer registration for 2019 or alternatively, log into https://www.snowracer.com.au/login/ to complete your activation. A SnowID allows you to enter Interschools events and track live timing during the events. You can assigned a SnowID once only, so it important to keep you information current in your Snowracer registration. School Coordinators will need to know your SnowID to enter you into the Online Entry System. So if you are at a new school in 2019 or are a new participant, please pass on your SnowID to your school coordinator so that they can enter you.